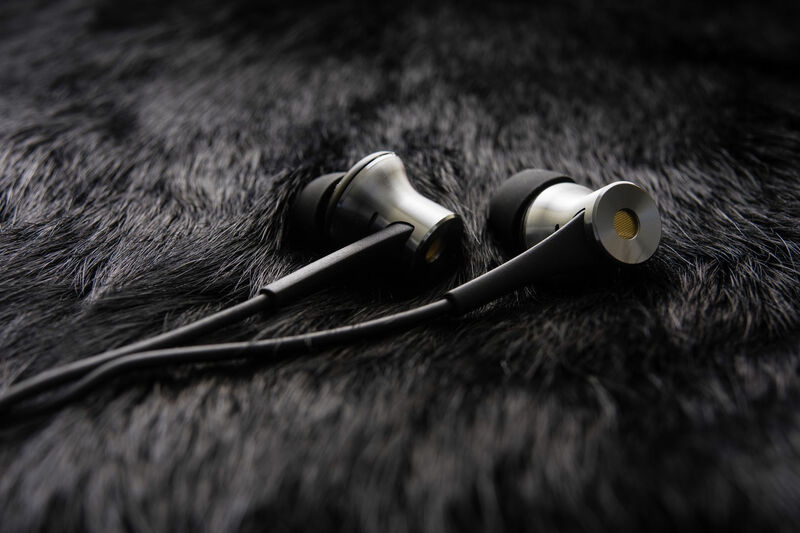 1More are perhaps most renowned for their triple hybrid driver in-ear, a model that offered stunning value with its chiselled metal build and warm, inviting sound. However, their popularity stems from numerous factors besides sound quality and build; 1More are also an immensely progressive company with a plethora of designs tailored towards varied use case scenarios from critical listening to travel to gaming. Their new Dual Driver ANC earphone exemplifies this as an in-ear that best suits portable use with a smart device. And, with a titanium dynamic driver + single BA setup tuned to their signature house sound, 1More promise class-leading sound quality on top. The earphones also assume a lightning connector suiting the transition away from the 3.5mm jack. Though I still find this trend to be inconveniencing and annoying, 1More’s solution beats a dongle any day and it does demonstrate a few benefits of digital output. Most notably, the integrated DAC/AMP and noise cancelling circuitry draw power from the lightning port, delivering cleaner audio and omitting the need for a bulky module on the earphone themselves. This creates what is easily among the most svelte in-ear noise cancelling solutions I’ve experienced. Let’s see how they perform. I would like to thank Ari from 1More very much for his quick communication and for providing me with the ANC Dual Driver for the purpose of review. All words are my own and there is no monetary incentive for a positive review. Despite receiving the earphones free of cost, I will attempt to be as objective as possible in my evaluation. Few companies flatter the buyer with accessories quite like 1More and fewer yet package with such flourish. The Dual Driver ANC maintains 1More’s high level of presentation with a bold textured box with brushed metal magnetic flip cover. Inside are the earphones and accessories showcased within moulded plastic. 1More include a metal shirt clip, faux leather hard case in addition to 4 pairs of multi-size silicone ear tips and 4 pairs of stabilisers. The tips are all well-moulded if slightly flimsy for my liking with a tendency to collapse within the ear. Still, they work fine for the earphone’s intended style of wear, promoting a shallow, comfortable fit. The stabilisers are also quite interesting, functioning similarly to the ear fins seen on Bose and OVC in-ears. However, they instead lock into the rears of the ear and produce less skin contact which enhances long-term comfort. When perusing Amazon reviews, the majority of the neutral and negative reviews reported ineffective noise cancelling or weak bass, both things that rely heavily on seal. As such, it is vital to find the tip that offers the strongest seal so I would’ve liked to have seen some foam tips included. 1More’s visually arresting display continues to the earphones themselves that carry the high level of design and finish we’ve come to expect from the company. On a superficial level, the earphones resemble the Pistons and non-noise-cancelling 1More Dual Drivers but their design has been tweaked for long-term wear during travel and their dimensions have enlarged to incorporate ANC microphones. The housings themselves most immediately draw the eye with a machined metal construction imbuing their lustrous grey finish with some texture. High-polish chamfered edges accent this design and the earphone’s reflectivity is offset by their tasteful colour scheme. Gold vents at the rears house the noise cancelling microphones and the use of more rounded plastic inner faces and nozzles contribute to weight saving and a softer feel in the ear. One notable aspect of the DD ANC is the nozzle design; the earphones are using slender ovular nozzles that only accept the stock tips. They are also on the shorter side producing a rather shallow fit depth. That said, this greatly benefits comfort as the earphones don’t produce any wearing pressure, and I found them form no hotspots even after hours of listening. The included silicone stabilisers also work a treat for those looking to use the 1More’s during activity. The DD ANC has the standard 1More cable with supple fabric sheathing below the y-split and a rubber cable above. The cable is a little thin and the rubber does tend to catch on clothes, but it is a Kevlar reinforced and very supple in feel. The cable also resists tangles very well and construction is quite good; the earphones themselves have incredible strain relief with more minimal reinforcement on the jack and remote. As aforementioned, they do terminate in a lightning plug which provides a digital audio input in addition to power. At present, 1More do not offer them with a USB-C connector, limiting use to IOS devices.